This Qualification provides learners with skills and knowledge to deal with first aid situations in low risk workplace environments or workplaces with a low number of employees. The qualification is for the purposes of the Health and Safety (First-Aid) Regulations 1981 and the Health and Safety (First-Aid) Regulations (NI) 1982. however is is also highly relevant for a wide range of first aid situations. 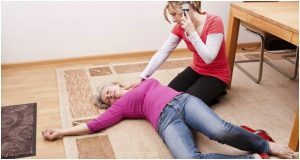 Level Emergency First Aid at Work is a Regulated Qualification which removes the requirements for the Employer to carry out due diligence on the training provider. 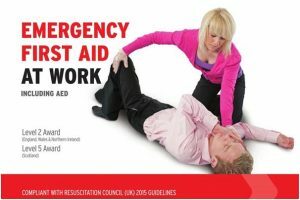 See HSE GEIS3 “A guide for employers – Selecting a first-aid training provider” for details. 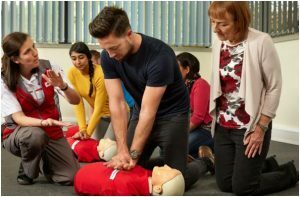 This Regulated Qualification is ideal for anyone wishing to become an emergency first aider. 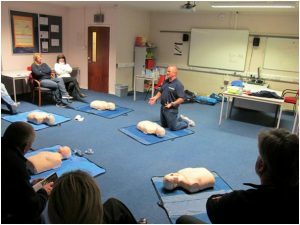 This provides learners with skills and knowledge to deal with first aid situations in low risk workplace environments for the Health and Safety (First-Aid) Regulations 1981 and the Health and Safety (First-Aid) Regulations (NI) 1982 purposes. As this is a Regulated Qualification, an Employer who obtains training from an Eastend Training Approved Centre is not required to carry out any due diligence on the training provider in order to ensure the suitability of the training (HSE statement). Where this qualification is undertaken in less than 8 hrs, additional learner instruction may be undertaken through research i.e. Internet, reading or work based activities. • The practical Learning Outcomes are assessed by observation. • Multi Choice Questions (MCQ) for theory and underpinning knowledge. To Awarded this qualification the Learner must 100% pass of the assessments carried out by observation together with a percentage pass in the MCQ paper.